Medicines can cost a lot. If you have a drug plan through your insurance, you can probably save money by ordering yours from them rather than at your neighborhood pharmacy. If you have enrolled in Medicare, you can take advantage of Medicare’s prescription drug coverage. This coverage is called “Part D.” To get Medicare drug coverage, a person must join a plan run by an insurance company or other private company approved by Medicare. Each plan can vary in cost and drugs covered. If a person wants Medicare drug coverage, he or she needs to choose a plan that works with their health coverage. Payments a person may make in a Medicare drug plan include monthly premiums, yearly deductibles, co-payments, co-insurance, the coverage gap, and catastrophic coverage. For easy-to-read, basic information about Medicare Part D, click here. You can also call 1-800-MEDICARE (1-800-633-4227) or visit www.medicare.gov to get more detailed information. When getting a prescription filled, sometimes you can choose between either a generic or brand-name drug. Generic drugs usually cost less and may offer you a way to save money. Generic and brand-name medicines are alike because they act the same way in the body. They contain the same active ingredients—the part of the medicine that makes it work. A generic drug is the same as a brand-name drug in dosage, safety, strength, quality, the way it works, the way it is taken, and the way it should be used. Don’t hesitate to ask your doctor about the cost of your medications. If they are too expensive for you, the doctor may be able to suggest less expensive alternatives. If the doctor does not know the cost, ask the pharmacist before filling the prescription. You can call your doctor and ask if there is a generic or other less expensive choice. You could say, for instance: “It turns out that this medicine is too expensive for me. Is there another one or a generic drug that would cost less?” Your doctor may also be able to refer you to a medical assistance program that can help with drug costs. Evaluate your prescription drug plan and compare it with your needs every year. There can be major changes in the pharmaceutical and insurance industries each year that will affect what benefits are being offered and what drugs are covered (and at what prices). Doctors do not know which prescriptions are covered by your insurance company. Ask your insurance company for a copy of your drug plan “formulary” – the list of all medicines covered by your insurance company — and bring it to your doctors’ appointments. Together, you and your doctor can evaluate the choice of medicines that will be most cost effective. Consider all of your drug plan’s preferred pharmacies and compare prices. Ask about pharmacy discount cards and senior citizen discounts. 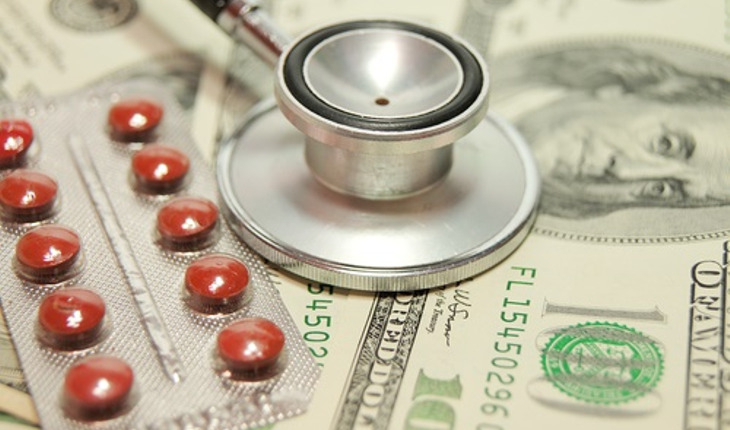 After reviewing ways to save money on your medicines, you may find that you are still having trouble paying for them. Here are some websites that can provide additional assistance. Medicare Extra Help Program provides information about the Social Security assistance program and application process for the Medicare Part D Subsidy. To learn more, click here to visit Extra Help with Medicare Prescription Drug Plan Costs. State Pharmaceutical Assistance Program (SPAP) provides information about any available state-funded assistance programs for prescription drug costs. To learn more, click here to visit State Pharmaceutical Assistance Programs. Pharmaceutical Assistance Program (PAP) provides information about pharmaceutical companies that offer assistance programs for the drugs they manufacture. To learn more, click here to visit Pharmaceutical Assistance Programs. For more information on health and medical-policy issues, click here to visit NIHSeniorHealth.